Today, at the beginning of 21st century we can hardly, if only, imagine living without many electric devices. They make it easier for us to work in the office and at home. However we often do not realize that they are also a source of very harmful positive ions, the so-called electric smog, resulting in the concentration of positive ions; deteriorates the condition of air in the rooms, what then negatively affects our physical and emotional state. 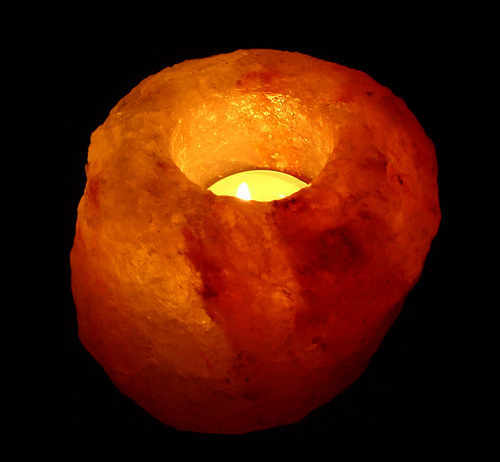 The Salty Lamps and Tea Light Candle holders are made from Natural Himalayan Crystal Salt Rock formed millions of years ago in the foothills of Himalaya. Each lamp is carefully handcrafted to retain the unique, beautiful and natural shape of the rock. 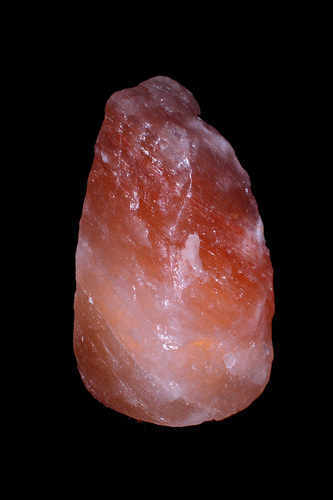 The warm glow beautifies any room in office or at home while the crystal produces healthy negative ions. Salt crystal lamps & tea lights are known to improve the quality of air by producing negative ions which are good for our health. Scientific research has proven that the amount of ions in the environment, acceptable by the human, is ca. 1000 - 1500/cm3, In closed rooms where a few people work at the same time, the amount of negative ions may fall to as low as 200/cm3. The positive effect of negative ions can be experienced on a visit to the Salt Mine, by the sea or walking right after a storm. Now you know how important it is to make sure that the harmful effect of electric smog is reduced to a minimum in the rooms where we work. The cheapest and the simplest method of fighting against electric smog is to air rooms regularly, particularly those in which a few people stay together for sometime, in which there are electric machines, computers, or where cigarettes are smoked. You can also use air ionizers, but these are quite expensive. To help you remove electric smog, we offer Salty Lamps & Tea Light Candle Holders. Made of natural salt crystal, it is a natural air ionizer that effectively boosts the number of negative ions in the room. The effect of air ionization by salt originated from physical and chemical properties discovered many years ago. In Salty Lamps heating the salt crystal with a bulb installed inside the lamp additionally enhances the ionization effect. In addition, crystal salt helps to cure many diseases. Bio-energotherapists and homeopaths in Western Europe have recommended crystal salt lamps for a long time to support treatment of allergies, respiratory system and blood system diseases. They are often used in the treatment of rheumatism. 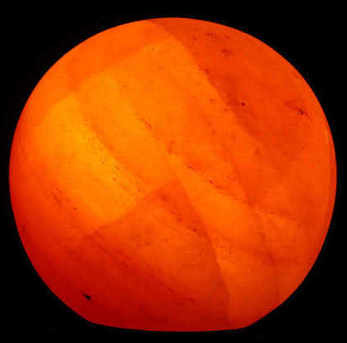 Due to its beautiful and rich colors, salt lamps are also used in color therapy, i.e. chromo therapy. Their soothing light helps neurotic persons and people suffering from insomnia. Feng Shui art connoisseurs have also appreciated the lamps. The curing properties of salt were proven by the fact that salt miners much more rarely suffer from respiratory system diseases. Long term scientific research on the effect of salt mine microclimate on human health has resulted in establishing this product in markets today. As a result the Salty Lamps improves the quality of our environment, and thus our well-being. Our well-being and efficiency are dependant on the air we breathe. Air consists of many electrically charged particles – positively, negatively charged or neutral particles. The quality of air we breath depends on the kind of electrical charge and concentration of ions. Today, when artificial products of civilization surround us, natural salt lamp is a unique product, worth to be had at home.